Durrington Walls timber structure (north). Looking towards the southern circle, with Woodhenge in the distance. 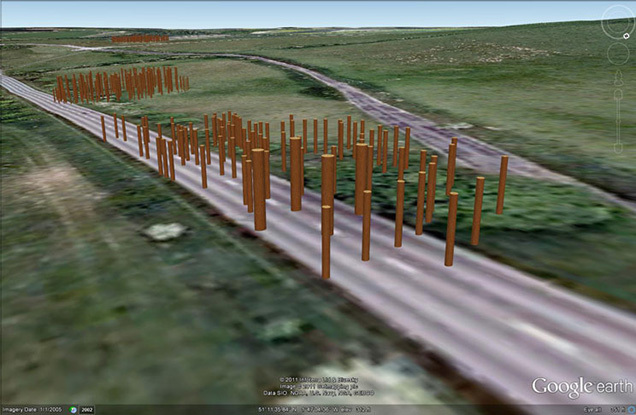 Durrington Walls timber structure (north) from above. Durrington Walls timber structure (north) – Southern circle in distance.